9ct white gold diamond and blue topaz bracelet. 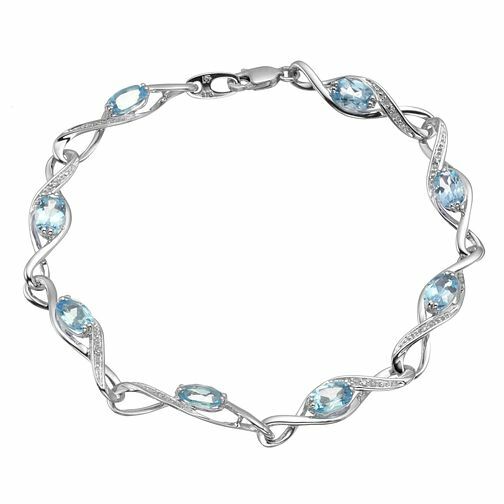 An elegant bracelet with eye catching blue topaz perfect for that special occasion. 9ct white gold diamond and blue topaz bracelet is rated 5.0 out of 5 by 1.